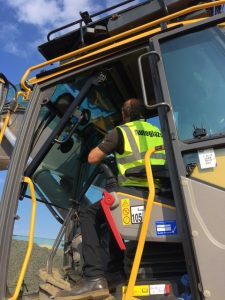 Excavators, tractors and other plant machinery is made to take some punishment, but it is often the glass in them that is first to be damaged. 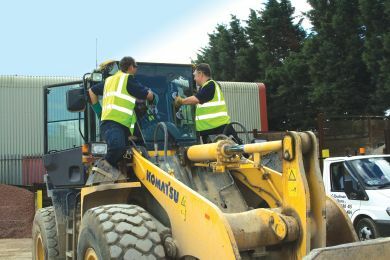 With the glass being responsible for both allowing the operators to see easily the task they are working on and often protecting them from the elements, broken machinery glass like a tractor windscreen can cause considerable amounts of lost time on site, and we know that you simply cannot afford to have machinery that is out of service. Our dedicated team of specialist technicians provide a mobile service for plant glazing and machinery glass replacement, where we come to you at a convenient time and place to get the job done for you quickly and efficiently to get your machinery back in service as quickly as possible. With a regular supply of glass, and a 24hr call out service, we can replace most plant glass quickly. Peace of mind is part of the service with all work being carried out by highly skilled technicians and backed by a full guarantee. Where plant glass is not readily or quickly available we may also be able to cut and replace damaged glass from a sheet of laminated safety glass on site, again speeding up the time it takes to have your equipment working again. We have qualified dedicated staff with many years of experience and we understand that healthy equipment is vital to your business. Give us a call to discuss the particular part you require, or use our quick contact form to contact us.